When Trump was running for president, he rightly exposed how vaccines were linked to autism which in fact they are. He also had a meeting with Dr. Andrew Wakefield who was one of the first doctors to expose a link between vaccines and autism. Trump also promised to drain the swamp of corporate lobbyists. This made many in the anti-vaccine and vaccine safety community feel optimistic that Trump presidency could possibly bring some accountability to Big Pharma and justice for hundreds of thousands of children who have been vaccine-injured. However, like most criminal politicians who make appealing promises before getting elected, he has abandoned those promises since being selected as president. Obama did this when he promised to label GMOs as a candidate and when he became president, he appointed numerous Monsanto lobbyists into his administration, and passed the Monsanto-written Monsanto Protection Act and the Dark Act which effectively crushed any possibility of GMO labeling in this country. Trump’s recent HHS cabinet pick, Tom Price is a prime example. The Department of Health and Human Services oversees the FDA and the CDC. Price is a huge prostitute for Big Pharma and has received $180k in bribes aka “political donations” from pharmaceutical companies. He has received more than $20k in bribes aka “donations” from some of the world’s top five vaccine makers i.e. (Merck, Glaxo, Novartis, and Pfizer). He also received $12k from the AMA who is a major proponent of vaccine mandates and announced that they would lobby local governments to eliminate exemptions to vaccines. Price is also a prostitute for the billionaire Koch Brothers who give him $20k. The Koch Brothers is a major investor in Big Pharma and one of the biggest manufacturers of formaldehyde, a major toxic component of vaccines. The Koch Brothers have spent years lobbying to keep formaldehyde, a known carcinogen, in medicines and vaccines even while actively sitting on the board of cancer foundations. Tom Price is also an alumni, aka former member of ALEC, corporate front group which bribes local legislators to enact vaccine mandates. Furthermore, he is a major stockholder in vaccine makers and pharmaceutical companies. This is another way in which money controls politics. Politicians are self-interested, sociopathic businessmen (hence why most are multi-millionaires) and usually have investments and stocks in the very industries and corporations who they oversee and often claim to be against (i.e Bernie/Stein railing against Big Pharma, Big Oil, and Wall Street while simultaneously owning their stock). This means that there are never going to do anything to hurt the very companies which they own and will even push for laws that will boost the value of the companies. It is in their best interest to do so since they actively control whether their stock portfolio goes up or down. A video exposed this practice in terms of the Wall Street bailout where politicians who owned stock in the financial institutions supported the bailout because it would ultimately benefit for them along with their Wall Street donors, of course. Politicians are also legally allowed to engage in insider trading which permits them to trade stocks based on pending legislation usually written by corporate lobbyists. This means they can buy more stocks in pharma company for example because they know that stock will be more valuable due to a pending law written by that same pharma company which is about to passed. It is a win-win situation for the prostitute aka “politician” and for the corporation who gets a payback i.e. corporate-written law for their bribe aka “political donation”. This is why politicians are always richer after leaving office because they can legally engage in otherwise illegal insider trading and pass legislation which boosts the value of their portfolios. Politicians are just here to make themselves and their criminal corporate backers richer while making you poor in the process. Politics is about making money; not “making America great”. Even more shockingly, Nazi vaccine maker, Sanofi was a major donor to Price. The company donated $7,500 to Price. Sanofi is one of the world’s largest vaccine makers and was a spin-off of IG Farben, a former Nazi corporation who owned concentration camps and who had been a major supporter of Adolf Hilter. Sanofi has an extensive list of criminal activities in intentionally selling drugs contaminated with HIV, selling contaminated vaccines with mold and otherwise, developing deadly vaccines for the bird flu hoax, pedophilic abuse and destruction of children during drug trials, and scamming Medicaid program and robbing taxpayers of $96 million. Furthermore, Sanofi used to be another major sponsor of ALEC or the American Legislative Exchange Council who has been pushing for vaccine mandates in nearly every state legislature. They are no longer a member but Sanofi is a member of the pharmaceutical lobbying front group PhRMA which is heavily invested in and involved with the corporate front group ALEC which wine and dines politicians and then gives them bills to pass. Fascism as defined by Benito Mussolini is the merger of state and corporate power. The front group ALEC is the perfect definition of this as it is a corporate-funded front group which invites politicians to be members so they can do the corporations’ bidding. Given that he has appointed a pharma prostitute as the head of the CDC and FDA, this means that medical tyranny, the war on health freedom, and pharma control of government and medicine will continue in America. Business as usual will continue. Furthermore, vaccine mandates will be coming to America under a Trump Cabinet given that Sanofi and Big Pharma are major supporters of Trump’s Secretary of Health and Human cabinet pick. 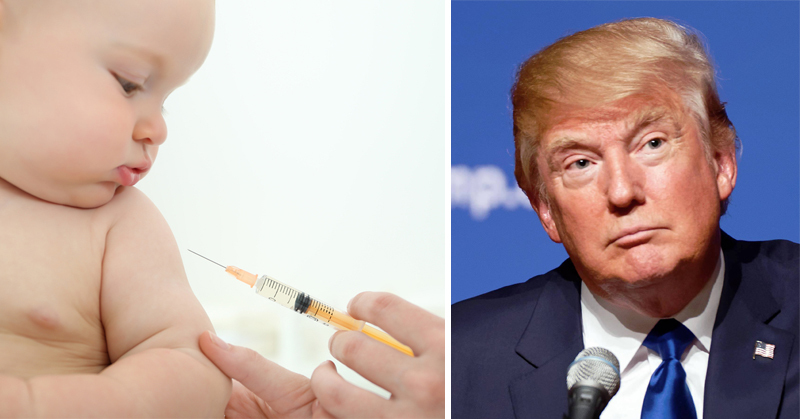 The government announced that wish to achieve mandatory vaccines by 2020 under their Healthy People 2020 initiative and the person who will be in office at that time will be Trump. His recent cabinet pick will definitely assure this as well. Trump, like all presidents, lied, corporations will get majorly paid, and the masses will be screwed.